Katrien Pype is an anthropologist, who has been carrying out ethnographic research in Kinshasa since 2003. She obtained her PhD in social and cultural anthropology at the University of Leuven (2008), with a dissertation on the production of (evangelizing) television serials in Kinshasa. She then moved to Birmingham, where she worked on a postdoctoral project that explored the nexus between media, memory and politics in Kinshasa during the festivities for 50 years of political independence in the DRC. A second postdoctoral project, on elderly’s participation in Kinshasa’s media world, was carried out at MIT (2011-2013) and KU Leuven (2013). As from mid-2013, Katrien is a part-time fellow at the Department of African Studies and Anthropology (DASA) at the University of Birmingham and assistant professor at the Institute for Anthropological Research in Africa (IARA) at KU Leuven. She currently runs a team project on technology & the city. 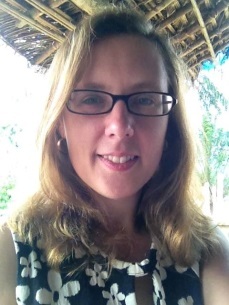 In 2009, Katrien co-created the CongoResearchNetwork (CRN). This platform brings together scholars from the humanities and social sciences studying Congo’s lifeworlds in the DRC and its diasporas.